The timeline for consideration and the order in which the chambers will vote has changed. Originally, the Senate was supposed to vote on the conference report on Monday, December 18. Because the Tax Cuts and Jobs Act is being considered under budget reconciliation, the conference report is subject to a second “vote-a-rama,” during which senators can offer amendments. If any amendments are adopted, the House, which would vote after the Senate, could simply approve the Senate-passed version, preventing a round of legislative ping-pong. The health of Sens. Thad Cochran (R-Miss.) and John McCain (R-Ariz.), both of whom missed votes the week of December 11, have made it necessary for the House to consider the conference report first. Both senators voted for the bill, but their recent health issues could force them to miss votes, including final passage. The House moving first on the conference report gives these senators extra time to rest. The House Rules Committee will hold a hearing on the conference report on Monday, December 18, setting up a vote on the floor the following day. House Majority Whip Steve Scalise (R-La.) and his whip team will count votes for the conference report during the only vote series on Monday evening. Roughly a dozen defections are expected, the vast majority of whom oppose the bill because of the limitations on the state and local tax (SALT) deduction. Currently, every Republican senator, including Sen. Bob Corker (R-Tenn.), who was the only member of the conference to vote against the original Senate version of the bill, is expected to vote for the conference report. Should Sens. Cochran and McCain miss the vote and, as expected, every other Republican is present and votes for the conference report, Vice President Mike Pence will cast the tie-breaking vote. Assuming the conference report is not changed in the Senate during vote-a-rama, the Tax Cuts and Jobs Act will be transmitted to the White House for the president’s signature. The Tax Cuts and Jobs Act represents the first overhaul of the United States’ tax code since 1986, when Congress passed the Tax Reform Act. The circumstances were different at the time. House Ways and Means Committee Chairman Dan Rostenkowski (D-Ill.) worked with Senate Finance Committee Chairman Bob Packwood (R-Ore.) to send a tax reform bill to the desk of President Ronald Reagan. With Democrats, who have drifted far to the left, unwilling to work with the Trump administration and Republicans in Congress, bipartisanship is impossible in the current effort. Although Republicans have control of Congress, the necessity to pass the bill under reconciliation and a thin majority in the Senate has led to final product that is a compromise. The bill is certainly not perfect, but it is a vast improvement over current law, particularly on the corporate side. Because the conference committee is trying to fit individual and corporate income tax changes into one comprehensive bill that prohibits a deficit above $1.5 trillion over ten years, individual income tax changes apply for eight years, effective through December 31, 2025. The conference committee kept the standard deduction proposed by the Senate. In addition to the changes in the rate structure, this near doubling of the standard deduction, compared to current law, provides tax relief to Americans. The conference committee stuck with the Senate’s tax rate structure, with some changes. The two most notable changes are the adjustments to the proposed 35 percent and the lowering of the top rate to 37 percent. In the Senate-passed version of the Tax Cuts in Jobs Act, the 35 percent applied to incomes of $1 million for joint filers. A higher rate of 38.5 percent would have applied to income of more than $1 million. That has been adjusted in the conference report. The 37 percent rate applies to incomes $600,000 or more for joint filers. There is tax relief across the board, with the lowering of most rates or adjustments to the income levels of existing rates. The conference committee had to tweak the child tax credit to make more of it refundable to get the vote of Sen. Marco Rubio (R-Fla.), whose rhetoric during the floor debate was frustrating. The doubling of the tax credit to $2,000 from $1,000 and the creation of a new family tax credit was not enough for Sen. Rubio. He wanted more of it to be refundable. To get Sen. Rubio’s vote, the portion that is refundable was expanded. The first $1,400 of the child tax credit is refundable under the conference report. The family tax credit expires after five years. The phase-out begins at $400,000 for a married couple filing jointly. The child tax credit is indexed to chained CPI. The family tax credit is available for each spouse and non-child dependents. The state and local tax (SALT) deduction will remain in place, but the deduction is capped at $10,000. The hope is that keeping the deduction in place, albeit with a cap, would keep House Republicans from high tax states, from defecting. The conference committee settled on the Senate’s approach to the tax treatment of pass-through businesses, although there were some adjustments. With a lower top tax rate, 37 percent, the pass-through deduction for qualified businesses was lowered to 20 percent of 50 percent of W2 wage income or 25 percent of wage income plus 2.5 of tangible property subject to depreciation held by the pass-through, whichever is greater. [T]he term “qualified trade or business” means any trade or business other than—(A) any trade or business involving the performance of services in the fields of health, law, engineering, architecture, accounting, actuarial science, performing arts, consulting, athletics, financial services, brokerage services, or any trade or business where the principal asset of such trade or business is the reputation or skill of 1 or more of its employees. The exclusions do not apply to pass-throughs owned by individuals with a taxable income over $157,500 and joint filers with a taxable income over $315,000, allowing them to take the 20 percent deduction. The proposed treatment of pass-through businesses would, like all other individual tax changes, remain in effect through December 31, 2025. The conference report for the Tax Cuts and Jobs Act increases the exemption for the estate tax, commonly and rightly known as the “death tax,” to $10 million through December 31, 2025. Because of opposition from Sens. Susan Collins (R-Maine) and Mike Rounds (R-S.D. ), conferees believed the was the best deal that they could reach. The conference report repeals Affordable Care Act’s (ACA) individual mandate, sometimes referred to as the “individual shared responsibility” provision. This is a punitive tax assessed on tax filers who did not have “minimum essential coverage” for three full months or more during a tax year, although exemptions apply. In tax year 2017, the penalty was 2.5 percent of household income or $695 per adult and $347.50 per child, at a maximum of $2,085. The penalty is whichever amount is greater. The repeal of the individual mandate reduces federal outlays by $318.4 billion, as the Joint Committee on Taxation projects that fewer people will purchase government-mandate health insurance plans because of the lack of a punitive tax to coerce them. This decreases the amount the federal government would have otherwise spent on tax credits under the ACA. The inclusion of the repeal of the individual mandate is important for two reasons. First, it shows a continued commitment by both the House and the Senate to addressing health insurance reform. Second, this is a regressive tax. The Internal Revenue Service (IRS) shows that nearly 80 percent of households that pay this tax for not purchasing expensive health insurance plans under ObamaCare earn under $50,000 of adjusted gross income. These are low- and middle-income Americans who may not have the means necessary to purchase coverage, even with subsidies. The conference report for the Tax Cuts and Jobs Act expands Coverdell education savings accounts (ESAs), also known as 529 plans, to cover tuition and qualified K-12 education expenses in a public, private, or religious elementary or secondary school or homeschool. The $10,000 limitation is changed from a per account basis to per beneficiary, allowing multiple accounts to benefit one individual. The individual alternative minimum tax (AMT) remains in place, although the exemption is increased to $109,400 for joint filers. The phaseout is increased to $1 million. Conferees met in the middle on the mortgage interest deduction, lowering the cap on mortgage debt to $750,000 for new purchases. The conference committee for the Tax Cuts and Jobs Act struck a deal to lower the top statutory corporate income tax rate to 21 percent, rather than 20 percent, effective January 1, 2018. The maximum allowable deficit of $1.5 trillion forced the conferees to negotiate between the respective positions of the House and Senate. The House-passed version of the Tax Cuts and Jobs Act would have lowered the statutory corporate income tax rate from 35 percent to 20 percent, beginning in tax year 2018. The Senate version would have also lowered the statutory rate to 20 percent in tax year 2019. To make the effective date of the reduction of the statutory corporate income tax to January 1, 2018, the proposed rate was slightly increased to 21 percent. Should the Tax Cuts and Jobs Act become law, the top statutory corporate tax rate will be at its lowest rate since 1940, when the top statutory corporate income tax rate was 24 percent, applying to $38,566 or more. 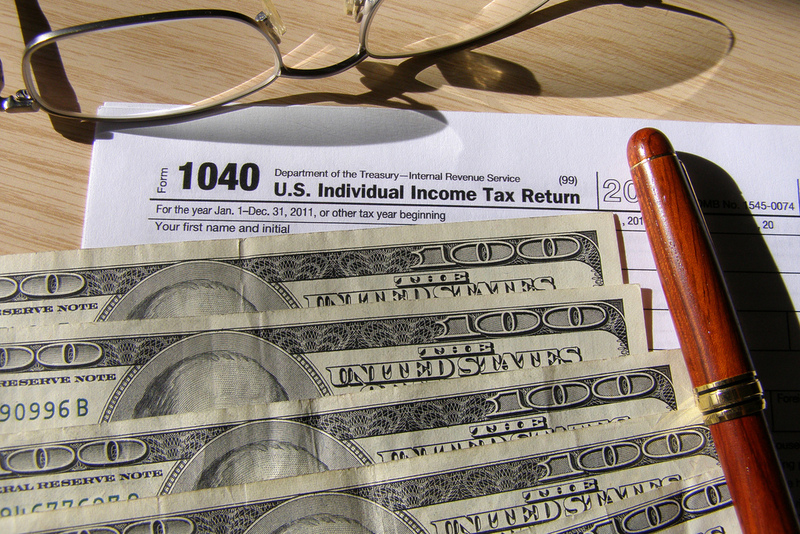 There are differences on the cap on the deduction for net interest. For four yours a cap on the next interest deduction will be placed on earnings before interest, taxes, depreciation, and amortization (EBITDA). After the initial four years, the cap will apply to 30 percent of earnings before interest and taxes (EBIT). Carrybacks for net operating losses (NOL) are eliminated and carryforwards to 80 percent of adjusted gross income (AGI). The Tax Cuts and Jobs Act shifts to a territorial tax system, ending the current worldwide tax system currently used by the United States. Rules will be applied to combat abuse, including a 5 percent anti-abuse tax in 2018. The anti-abuse tax will be increased to 10 percent through 2025. Beginning in 2026, the anti-abuse tax will be set to 12.5 percent. The anti-abuse tax for banks will be charged 6 percent in 2018, 11 percent through 2025, and 13.5 percent beginning in 2026 and after. The deemed repatriation rates are higher than either the House or Senate started in their original language. The rate on deferred foreign profits will be taxed at a rate of 15.5 percent. Illiquid assets will be taxed at 8 percent. Title II of the Tax Cuts and Jobs Act would allow for oil and gas exploration in a section of the “1002 Area” of the Arctic National Wildlife Preserve (ANWR), also known as the “Coastal Plain.” This section, referred to as “Plate 1” and “Plate 2,” of the 1002 Area is relative one ten-thousandth of the entirety of ANWR. Leases will be subject to a 16.67 percent royalty rate, half of which will be sent to the state of Alaska. Two lease sales are required inside the ten-year budget window, and lease sales will be made within certain guidelines. The first within four years of enactment. The second within seven years. The conference report for the Tax Cuts and Jobs Act provides for five years of full and immediate expensing of capital investments. It includes the language requested by Sen. Jeff Flake (R-Ariz.), who initially withheld his support for the bill because of concerns about the impact on the deficit, that would phase out expensing through 2027. He believes that this change will make it less likely for Congress to continue the policy of full and immediate expensing in tax years after 2022. The Section 179 cap is increased to $1 million. The phase out begins $2.5 million. 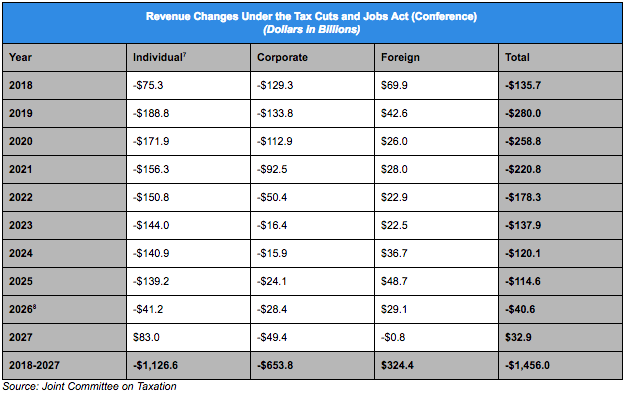 Barring any unforeseen defections, the Tax Cuts and Jobs Act should pass the House and Senate. We do not anticipate any amendments in Senate that will change the text of the conference report and require the bill to be transmitted back to the House. While this is an important tax overhaul, some tax credits and deductions that were originally targeted for repeal will remain in place. Nevertheless, there are strides made in the Tax Cuts and Jobs Act that do simplify the tax code. Although the Joint Committee on Taxation has not released distributional effects yet, we do anticipate that all income groups will see reductions in their average effective tax rate through tax year 2025.